Michael Praeger is the Co-Founder and Chief Executive Officer of AvidXchange, Inc., the leading provider of on-demand accounts payables management and automated payment solutions. 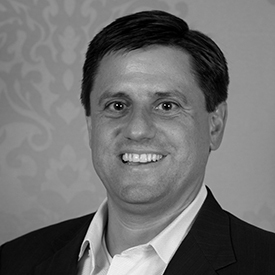 Since founding AvidXchange in 2000, Michael has been an active participant and speaker on "payables and payment automation" at various industry conferences and considered a thought leader within the industry in developing creative solutions and best practices for payables and payment automation. Michael has spent the last 20 years founding, managing, merging and selling technology and web services-related companies. Prior to establishing AvidXchange, Michael was Co-Founder of PlanetResume.com, a technology career enhancement and recruiting site that successfully completed its merger with CareerShop.com and CareerTV.net in November 1999. Prior to that, he was Co-Founder and CEO of InfoLink Partners and InfoVentures, LP. Michael also served as an Associate with Summit Partners, a Boston-based Venture Capital and Buyout partnership with more than $1 billion under management. He received a B.S.B.A. in Finance from Georgetown University. Michael is also a graduate of the "Birthing of Giants" executive entrepreneurship program at MIT. Michael is currently active in the Entrepreneurs Organization (EO), as well as the Young Presidents Organization (YPO). Michael is also currently serving on the advisory board of the North Carolina Technology Association (NCTA), and on Comdata's Customer Advisory Board. Michael is revered as a leading business-to-business provider of innovative electronic payment solutions.